By 2018, retailer Peter Millar faced an acute challenge: year-over-year growth across multiple channels with a rapid increase in direct to consumer web orders. They needed a way to achieve more throughput from their existing warehouse, while also having flexibility to account for future needs as the company expanded further. Fast-forward 90 days, and Peter Millar had achieved a 15% reduction in conveyer volume and reinvented their web order fulfillment process – without large capital investment or construction. Seth Patin is the Founder and CEO of LogistiVIEW, a software company that uses artificial intelligence and augmented reality on industrial smart glasses to improve the productivity and job satisfaction of task-oriented workers. 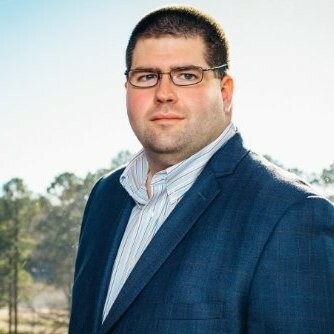 Since starting his career at supply chain software vendor, RedPrairie (now JDA), over 15 years ago, Seth has worked in several roles as a technology vendor, customer, and consultant, eventually founding Accelogix, a leading consulting and implementation partner for JDA RedPrairie WMS and LMS in 2012. Seth’s experience in distribution operations and his vision for a better approach to human/computer interaction led him to found LogistiVIEW in 2014 and lead the company to become a pioneer and leader in the development of connected workforce technology.